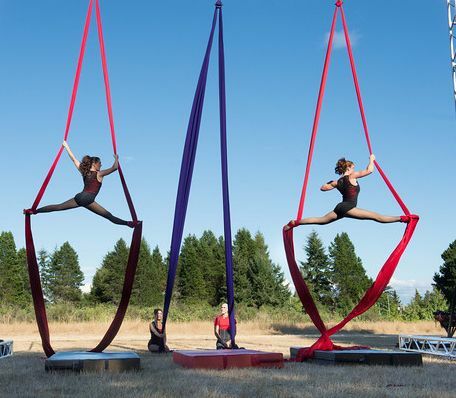 The Silkworms are a Vashon-based aerial ensemble directed by Esther Edelman with Laura Cherry, Glenn Easley, and Julie Gibson. Their eclectic backgrounds include acro-balancing, ballet, high diving and cider brewing. Esther has over 20 years of choreographing, directing and performance experiences that spans international stages and events. She is a co-founder of the groundbreaking UMO Ensemble, has her own Performance Pilates studio, and teaches aerial classes on Vashon. Committed to transcending the limitations of individual forms, Esther is a master and we all look forward to her presenting the Silkworms at the 2015 Moisture Festival.